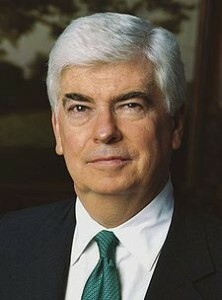 A week after coming out in support of the Republican Party’s platform language on intellectual property and Internet freedom, Motion Picture Association of America Chairman Senator Chris Dodd has praised the Democratic Party for recognising the danger of online piracy in its party platform language on intellectual property. “I am extremely pleased that the Democratic Party’s platform language reinforces the critical importance of protecting America’s intellectual property while ensuring the free flow of information on the Internet,” said Dodd. “The Internet is a nearly unparalleled source of creativity and innovation, not just in the entertainment community, but across nearly every sector of the US economy. Protecting that source of creativity, as well as protecting the rights of the people behind that creativity, is integral not just to our economy, but to who we are as a nation,” he declared.